Whatever you do, make sure not to dawdle on your dental duties. Part of that responsibility is taken care of right from the comfort of home. Day in, day out. That covers roughly 50% of efforts. And the other half? For that, they’ll need from a proper dentist. For a comfortable, painless experience, don’t hesitate to swing by Corry & Lewis Dental. Go ahead and feel free to meet with our Cedar City dentist. If you’re a bit confused—we totally understand. After all, the average person doesn’t know why getting a professional cleaning is so important, especially if they’re already taking care of business at home. But it all comes down to this: what’s done at home(regarding brushing and flossing) is a great effort, but it covers around 50% of what you actually need to maintain that beautiful smile. See, food particles are sneaky enough to sometimes dodge your toothbrush and floss, sneaking off into the deepest, tightest spaces between teeth. These particles eventually harden into plaque and tartar. Neither of which you want sticking around for long. That’s because they are magnets of bacteria, which is toxic to teeth and gums. 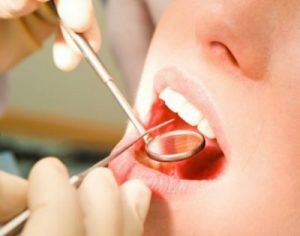 Its presence irritates gums, inevitably causing the surging of gum disease. Advanced stages of this disease cause dental bone loss which, over time, destabilizes teeth and increasing the odds of them falling out. Take a deep breath…it sounds scary, but it really doesn’t have to be. Take out some time from your busy schedule and make it a point to visit Corry & Lewis Dental, then get proper treatment from our Cedar City dentist. Don’t you worry. Getting setup is incredibly easy. Corry & Lewis Dental’s staff will promptly help you get all set. And then? You’ll only be a hop and a skip away from revitalizing your smile, courtesy of our Cedar City dentist.